Omega Drive was born 1985. In Sibenik/Croatia. He began his career with the production of 2004. Omega Drive 2008. opening his own label called'' Techno Artillery Records''. This label it’s a big story. Many good releases and producers of high quality led Techno Artillery in the top 20 Techno digital label in the world. Techno Artillery was 2009. declared ''TOP SELLIG’’ label in Beats Digital store. Techno Artillery Records has a lot of quality producers such as Sinisa Tamamovic, Mladen Tomic, Dj Bold, DJ Link, Goncalo M., DJ Gumja, Veztax, Aitor Ronda, Peppelino, Svetec, Rantan, Odessa Soundfreaks, Kali, Marco Woods, Vincent de Wit, Fatima Hajji, Aka Carl, C-System, Peter Fern, Bob D, Dj Pest and many others. Techno Artillery Rec. is published in top electronic magazine in Spain'' dj1magazine "009 Edition TAR Luky RDU - Combination Ep. 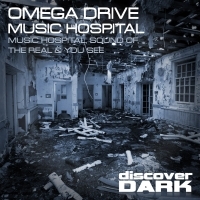 Omega Drive remixed well-known names such as Pedro Delgardo, Michal Poliak, Indecent Noise, DJ Link, Axel Karakasis, Dave The Drummer, Mladen Tomic and many others. Tracks from Techno Artillery records have the support of the world-famous names such as Carl Cox, John Askew, Bryan Kearney, Pedro Delgardo, DJ Murphy, Axel Karakasis, Bryan Cox, DJ Link, Wehbba and many others. Omega Drive release his tracks on the labels which are many world famouse face like: Armin van Buuren, Paul Okenfold, Tiga, Tube & Berger, W&W, Boka Shade, Cosmic Gate, Jerome Isma-ae, Emma Hewit, Markus Schulz, Orjan Nilsen, Cristian Varela, Trevor Rockcliffe, Paco Osuna, Tube & Berger, Gayle Sun. Thomas Schumacher, Torsten Kanzler, Monika Kruse, The Advent, Industrialyze, Jamie Anderson, Carl Craig, Joel Mull, Angel Alanis, Adam J, Len Faki, Eric Sneo, Michael Burkat, Da Fresh, Corvin Dalek, DJ Rush, Ryuji Takeuchi.. First vinyl was released 2010 at Koitus Rec.. Omega Drive in June 2010 published big release titled'' My Life Is Techno & This Is Who I'm, containing 50 original tracks. Omega at 2011 out two tracks in compilation Tequila Sunshine Vol.3 on Desperadoz Records. In the third month of 2011, Compilation Tequila Sunshine Vol.3 was released on ‘’Ravelin’’ in the best techno magazine in Germany. Omega Drive 24.2.2011 issued a release titled'' Omega Drive - Techsturbation Ep'' on Techsturbation Records in ownership, DJ Gumja from Slovenia. Shortly after the release, track'' Symphony'' from Techsturbation Records finished in first place on Beatport. In the April of 2011. Beatport put the Omega Drive Highlight on their site under the'' Featured Artist'' with Ben Sims and The Advent. Immediately after, in the 31.04.2011 Omega Drive out in the most famous Bosnian and Herzegovinian magazine'' 5'' PLUS with Criatianom Varela & Jon Rundell. In 2014 Omega was selected to be ''Umek'' worldwide music Ambassador. One week after that my track ''Creative Destruction'' was released on my friend Dj Gumja great Techsturbation label, is released on Simon Patterson WAO138 compilation on Armin van Buuren Trance label ''Armada Records''. After much work and effort he decided to try a new style that is increasingly present on today's scene. With the Techno 136-140bpm’s and now produce also a new style of techno 128bpm's. Soon after he moved to milder style techno, DJ Umek put his track''Omega Drive - Now Is The Time'' in his mix titled'' Behind The Iron Curtain 019 (Proton Radio)''. 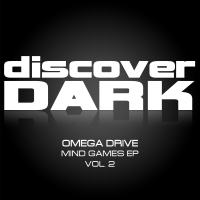 Omega Drive from late 2007 to 2014 release more than 1200 tracks on more than 60 labels. He has played with names such as Beltek, Tim Taylor, Chris Liberador, Phuture Traxx, Axel Karakasis, Mario Ranieri, Destro, Goncalo M, Veztax, Gumja ... 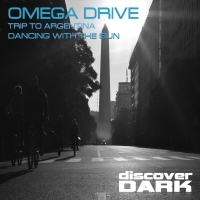 He played in Venezuela, Portugal, Spain, Czech Republic, Germany, Italy, Slovenia, Croatia.... Music Omega Drive is very energetic and powerful, and it stretches from Funky, Driving, Melody and Pumping Techno. If u want good techno, Omega Drive is the men!